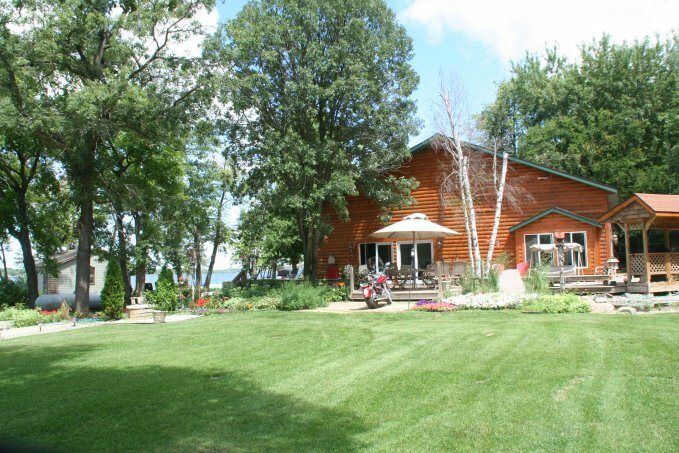 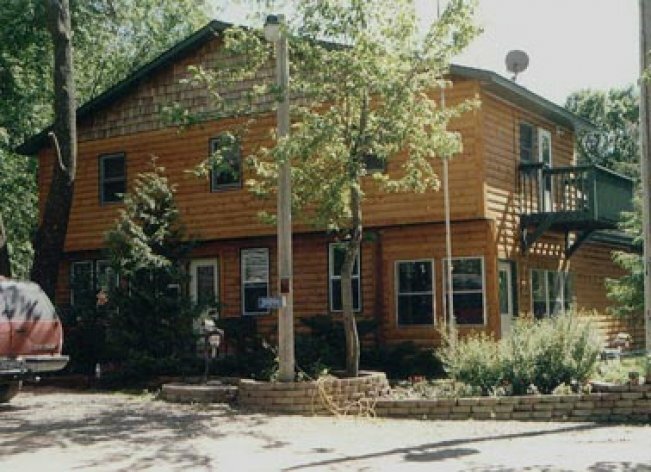 The Lodge is a 1,400 sq. 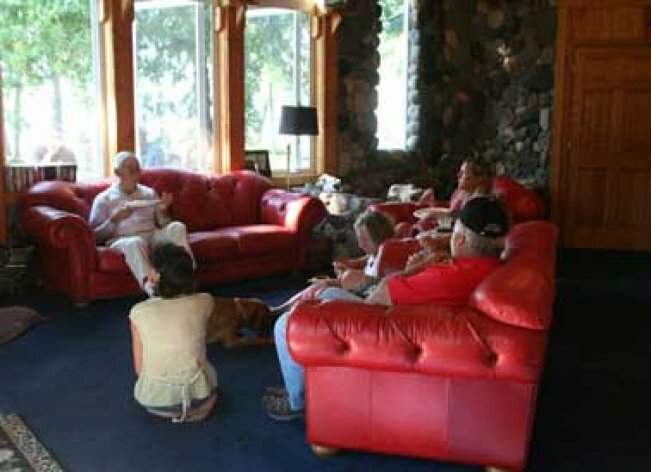 ft. trophy and meeting room. 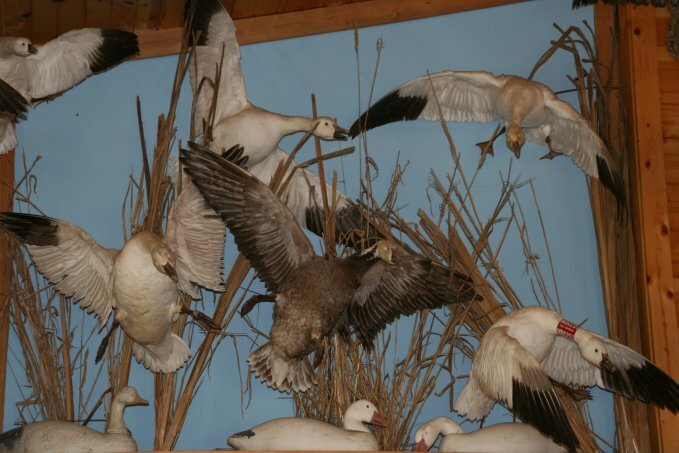 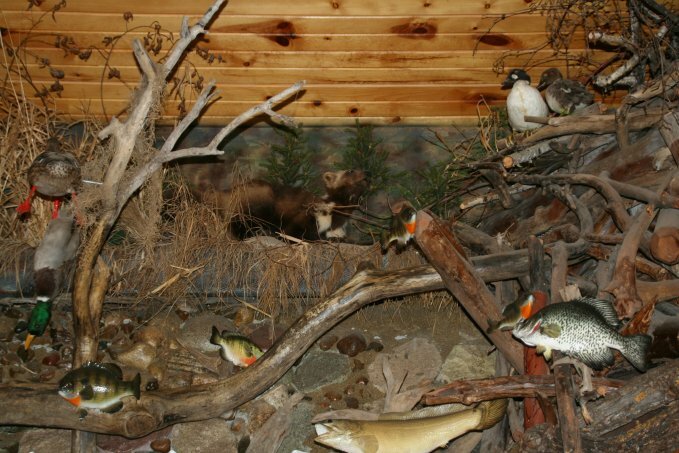 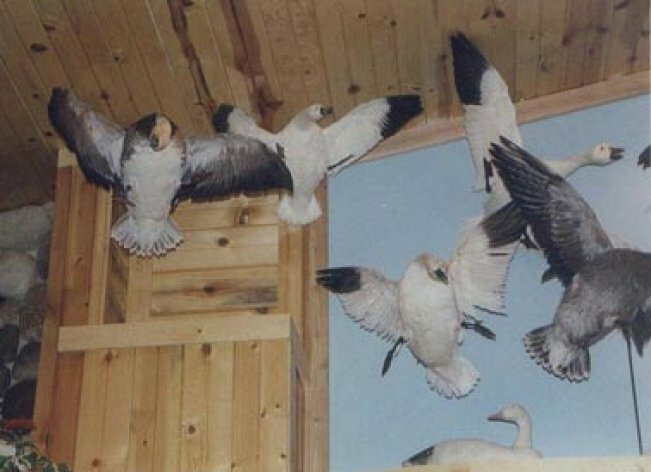 The room features numerous big game mounts, snow geese flights, antique duck decoys and an underwater beaver den. 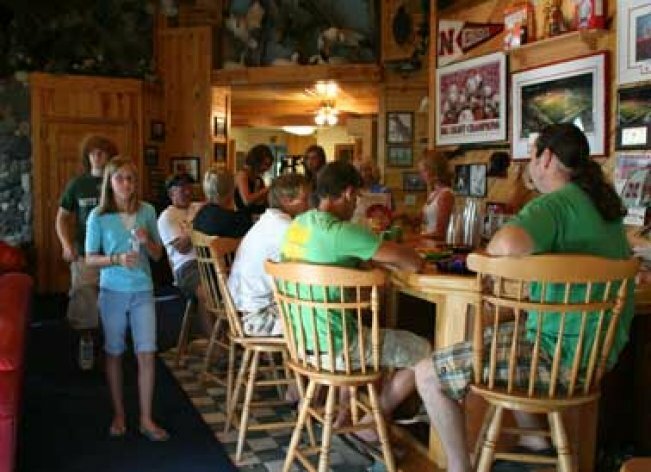 The most notable feature of the Lodge, however, is the “Husker” Wall of Fame. 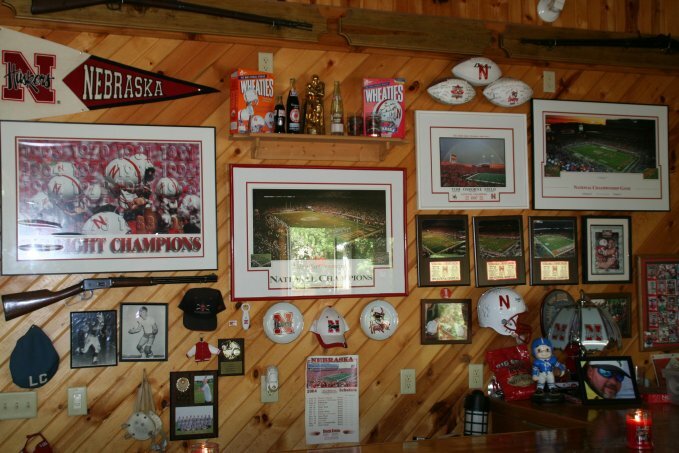 To honor the proud tradition of the University of Nebraska football, the Cornhusker Wall contains such items as the “Heisman” trophy helmet signed by Husker Heisman winners: Johnny Rogers, Mike Roizer and Eric Crouch. 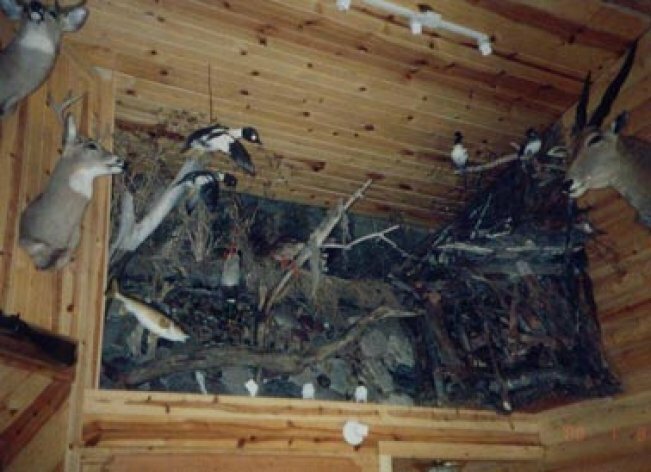 A rare 1994 Sports Illustrated “National Championship” addition signed by the team and “Heisman” runner-up, Tommie Fraizer hangs between other memorabilia from all five National Championships. 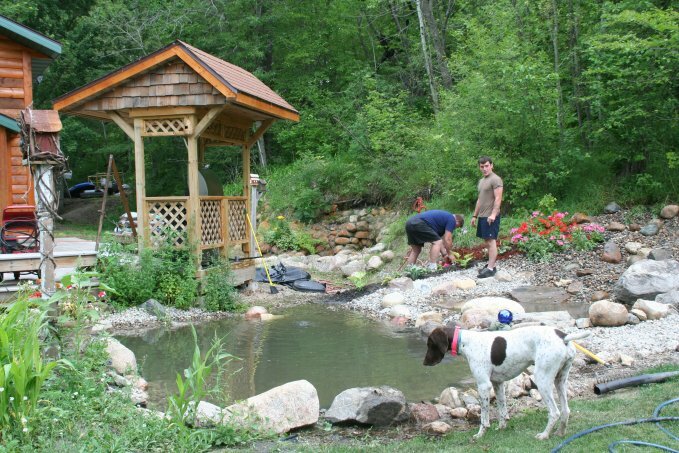 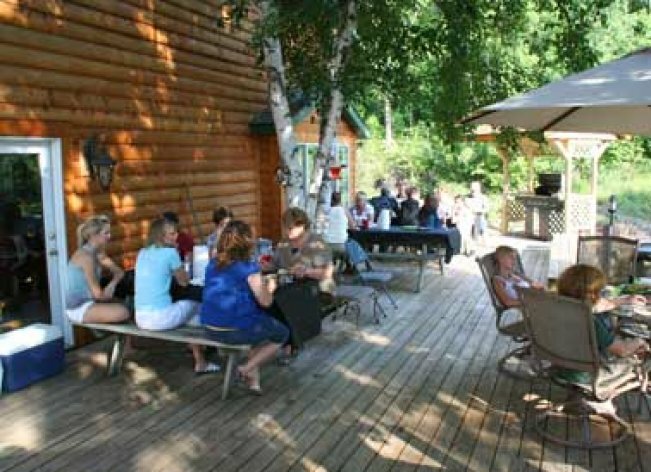 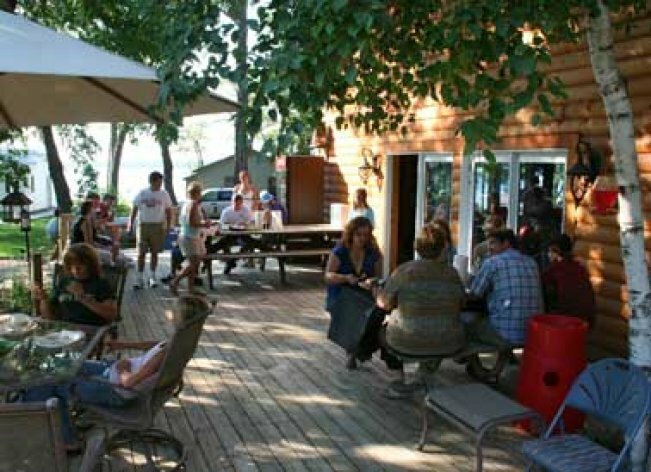 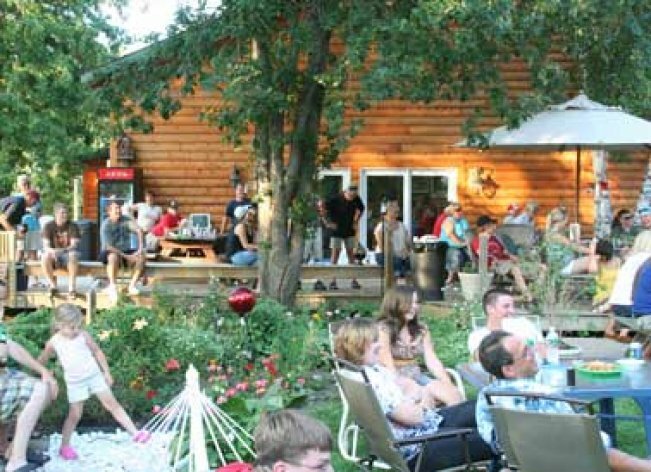 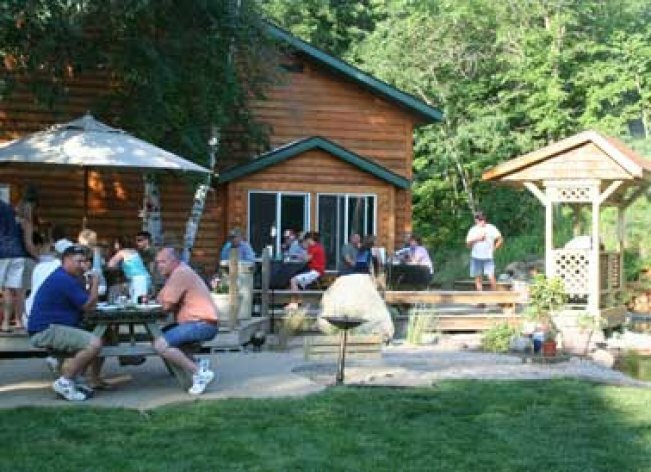 The Lodge is available for rent with advanced booking notice for special events/occasions, weddings etc. 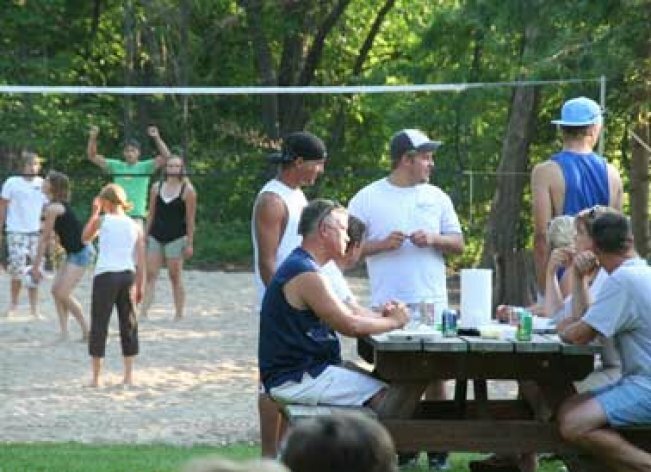 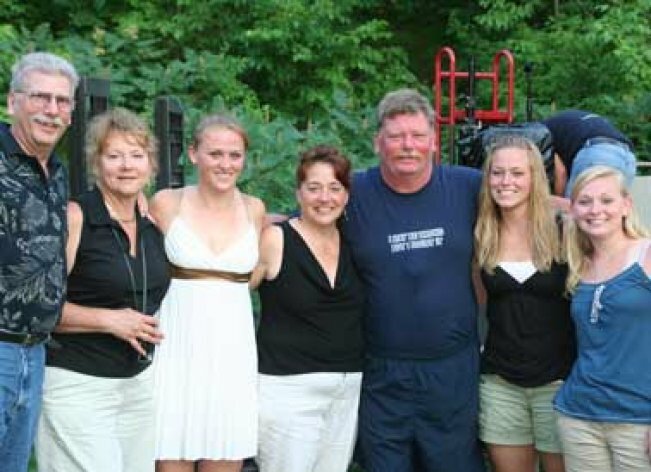 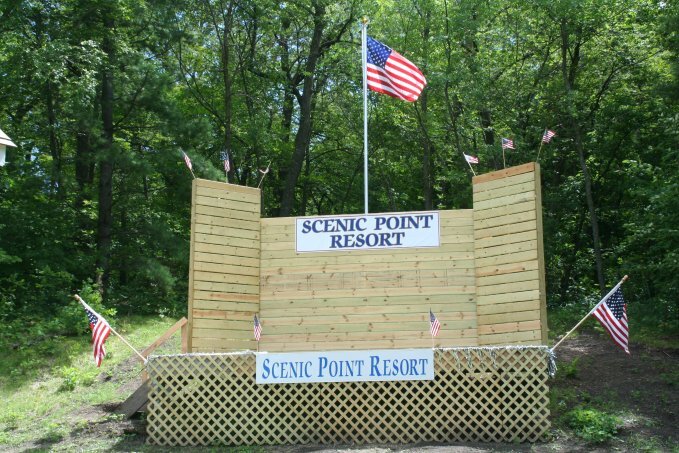 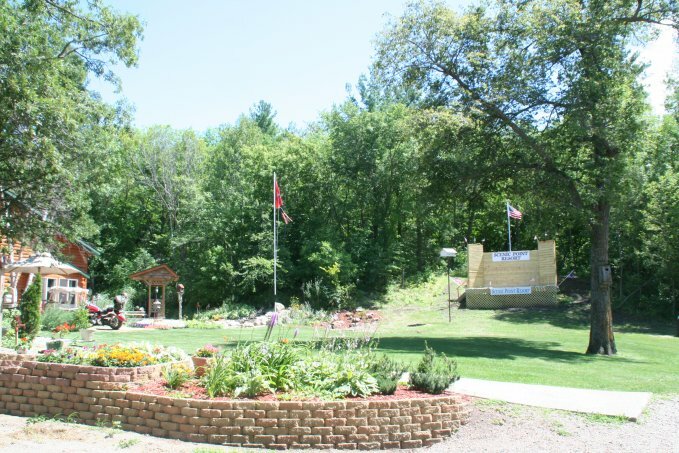 SCENIC POINT RESORT SUPPORTS "BIG RED." 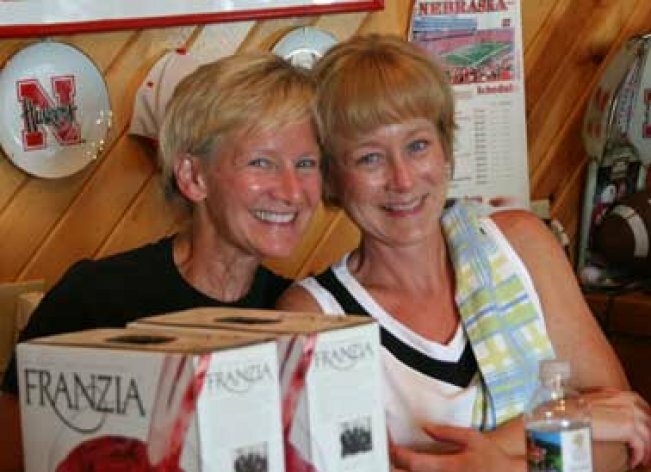 GO HUSKERS!